We invite you to join our family here at Lujack Motorwerks when considering your next purchase. We will provide you with a world class experience that dares to challenge dealerships from Moline to Bettendorf. Our experienced team of Sales Professionals, Finance Managers, Service Advisors, Certified Technicians and Parts Specialists are here to make your car buying experience as stress-free as possible. Our sales team will help you find the perfect car for you. We have an extensive inventory that includes New, Used, and Certified Pre-Owned and we are here to answer any questions you may have during the buying process. Once you’ve chosen your next new or used car, Lujack Motorwerks will help you take the next steps towards driving home the Mercedes-Benz of your dreams. Our finance experts are trained to sort through various auto loan and lease details in order to help you find the right one for your needs: making sure you find a car loan or a Mercedes-Benz lease in the Davenport area that you love just as much as your new car. Even after you’ve driven your new car off the lot, Lujack Motorwerks continues to support you in order to ensure you have a great ownership experience. Our service department offers everything from routine maintenance to repairs when they’re needed. We know how to maintain your new or used Mercedes-Benz, and if you’re searching for Mercedes-Benz repair and auto service in the Davenport area, visit us first! And for those of you who prefer to tinker under the hood yourselves, we keep a comprehensive stock of OEM parts for your endeavors as well. If you need any parts or accessories for your car, stop into our Parts department and our knowledgeable parts team will take care of you. If we don’t have it, we’ll find it. 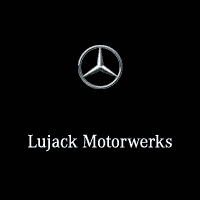 Lujack Motorwerks is equipped to handle all of your automotive needs. Contact us today to see what we can do for you or visit our showroom located at 3602 N. Harrison St. Davenport, IA. 52806. Come and see for yourself the pride we take in our company, but mostly the pride we take in our customers.